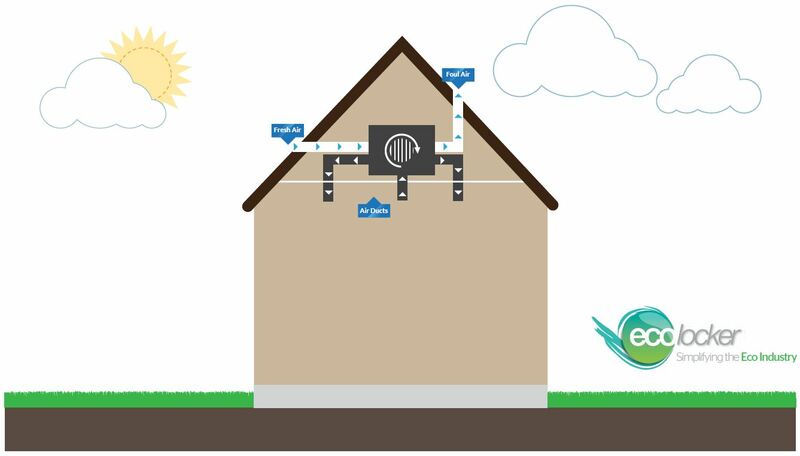 Home » Heat Recovery » How do heat recovery systems work? Creating new and ultra-efficient renewable energy technologies is not just about harnessing the sun or wind and feeding it into our homes and office buildings. Making the most of what is already there also helps reduce our collective impact on the environment, and that includes the amount of heat we lose to the environment on a daily basis. Heat recovery systems work by drawing on that potentially valuable warm air or water in a property and getting it to work just a little bit harder for us. In a world without a green technology like heat recovery, air circulates around an office, becomes stale and is replaced by colder air that it is warmed up by the ventilation system. What happens to that already warm, stale air? It simply gets expelled into the atmosphere. Heat recovery systems don’t replace the need for a boiler or other technology to heat your radiators but it does help them work more efficiently by recycling that warm air ensuring that you get the most out of it. For domestic premises, a recovery system could help save on energy bills and keep the house warm during the winter months. It’s easier to loose valuable heat in our homes, we simply open a window and that warm air just flies up into the atmosphere. With a ventilation system you get fresh, warm air constantly circulating through the house. For businesses and industry, heat recovery lies at the heart of making the work place and factory floor a far more efficient place. A heat recovery system can work via a ventilation system which is positioned at the top of the building. Rather than just draw the stale air out and replace it with new stuff, it first of all works to draw the heat from the outgoing air and passes it to the air which is coming in. Heat recovery ventilation works independently of your normal heating system. In each room there are ventilation ducts with filters that feed the air in and out of the space, all leading to a heat exchanger that is either placed in the loft or on the roof of a building. This heat exchanger is the brain of the heat recovery system, moving the stale air through hundreds of small pipes whilst drawing in cold air from outside in other ducts. These flow past each other without mixing physically but the heat is drawn from the stale air to the cold air, which is then fed back down into the pipes and into the rooms. The stale air, minus its heat, is then expelled into the atmosphere. The technology for heat recovery systems has improved dramatically over the years and there are now systems available that profess to extract up to 90% of the heat from stale air and return it to the fresh air that is circulating back into the system. The world of heat recovery is, of course, far more complex than this, and has applications in all aspects of our lives, not just through the ventilation system, though the principals of heat collection are largely the same. Different systems are needed to maximise the value of waste energy, converting it to something useful that can bring down costs and reduce the impact on the environment. Across the board, heat recovery can be through thermal wheels, plate heat technology, heat pumps or more complex industrial processes. 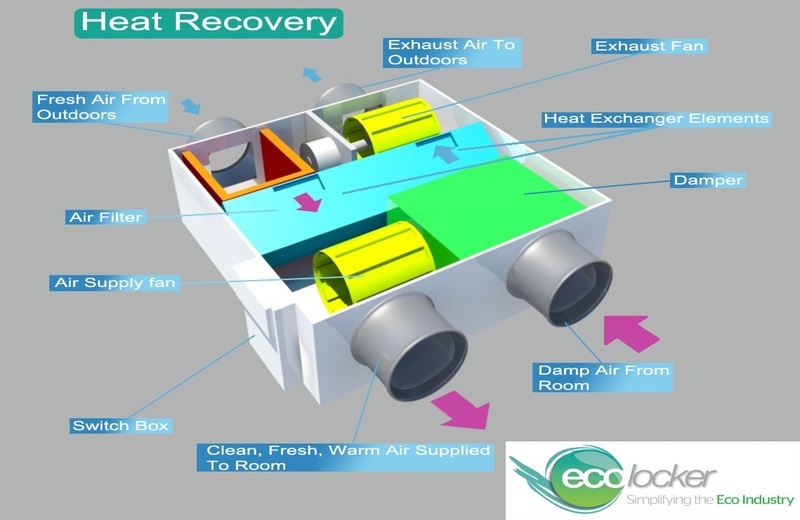 To find out more, explore the different types of heat recovery system here. For a good heat recovery system to work at its most efficient then the house or office complex needs to be fully insulated and all those little areas where warm air can escape sealed. That means they are often not suitable for old houses that tend to lose more heat that newer, more eco-friendly builds. Heat recovery units can also be used on an industrial scale for collecting the escaping heat from large boilers where the heat is expelled through a flue. Most new condensing boilers have this technology already fitted but older models may well benefit from have a flue economiser fitted. Heat recovery systems can also behave smartly nowadays, reducing the amount of heat that is extracted during the summer so that comfort levels are maintained or they can be used for drawing more heat from important areas like a busy kitchen or wet room where the temperature is likely to be higher than other rooms on occasion. In offices they can be used to keep workers cool in the summer and warm in the winter, without the need to open windows or switch on wasteful heaters.